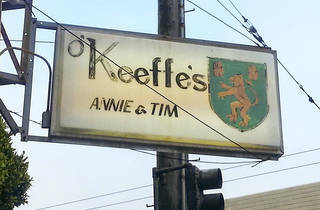 Walk into O’Keefe’s and you’ll feel as if you’ve walked back in time. There’s a layer of dust that covers everything in the bar, but it’s no matter, you’re not here to clean the place. You’re here to drink. 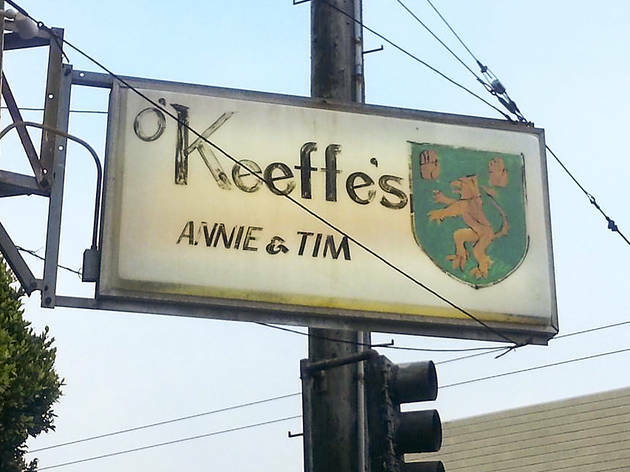 The Inner Richmond bar is filled to the brim with memorabilia as well as a pool table and plenty of square four-tops for playing a leisurely game of dice or cards. Don’t think about ordering anything fancy, grab a beer and a shot of whiskey and you’ll be on the friendly staff’s good side in no time. Most of the folks here are regulars who welcome you with open arms even when you’re a first timer. It could be called a dive, but I prefer to use the term hidden gem: it’s a superb low-key spot to chill and enjoy cheap drinks in a interesting atmosphere.